Adam Gifford is the chief crime reporter for a major daily newspaper in London. As such, he gets the best cases because he knows the best way to get deep into them and learn what other reporters never would. A hard-living old-school investigator, he drinks with the best of them and loves the ladies while he's at it. He also has a terrific talent for seeing a germ of a story when others don't. 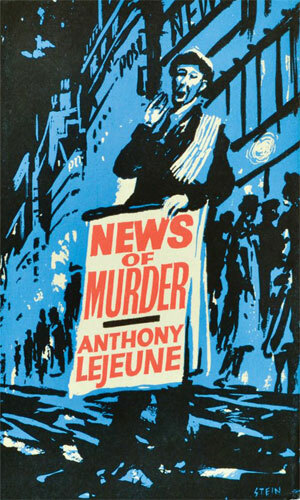 His dedication to his profession is shown early in the first book when just escaping great danger and finding a dead man at his feet, he calls the paper's news desk to relay the story before considering calling the police. Gifford is also a man who come to have a close and secret connection to a man named Blaise, a powerful, mysterious figure in the shadows of government, running an unnamed branch of British Intelligence, responsible only to the Prime Minister. Never a man to shy from asking, or coercing, a favor from anyone, Blaise knows the best way to intrigue Gifford enough to work on his behalf. As the series begins, Gifford knows of but little about Blaise. 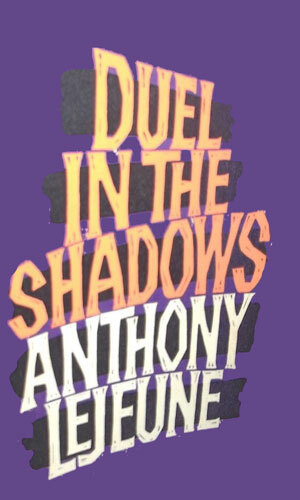 When Gifford's nose for news gets him involved in the murder of an American secret agent in London, Blaise steps in knowing that his best chance for getting to the bottom of the misadventure meant using, not hindering, the intrepid reporter. It was the start of a beneficial albeit dangerous relationship for Gifford. While the normal beat for this reporter is London and its environs, his reputation and his inate curiousity does take him abroad on occasion, something that Blaise is certainly not one to ignore. Elizabeth Drake was a small-time reporter not usually involved in any crime let alone murder. But a small conversation she had with a policeman while in New York somehow throws her and Gifford into the middle of a strange case that also involved British Intelligence. Helping out a friend involves Gifford in a mystery that starts with a strange working psychologist and quickly includes British Intelligence and sends Gifford to West Africa. Gifford thought his story was just about industrial espionage until Blaise entered the picture and things took on a totally new slant with the spies being on a national scale and the bullets being even deadlier. 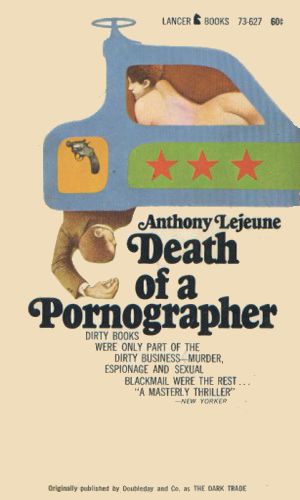 The author, Mr. Lejeune, was himself an accomplished reporter. Whether he ever worked for someone like Blaise, of course, is just a fun conjecture. What is fact is that the man knows the news business and he brings the reader into it easily and enjoyably. And the espionage capers that Gifford gets involved in are fun to read. Gifford himself is a great deal of fun to follow. The realism that is brought to the series makes the events come alive and Gifford's ease and glib talking, not to mention his confidence and his talent, make for a good time.